Willys MB (1941-1945) w/ 9″ Brakes. Willys M38 (1950-1952) w/ 9″ Brakes. Jeep CJ-2A (1945-1949) w/ 9″ Brakes. Jeep CJ-3A (1948-1953) w/ 9″ Brakes. Jeep CJ-3B (1953-1968) w/ 9″ Brakes. 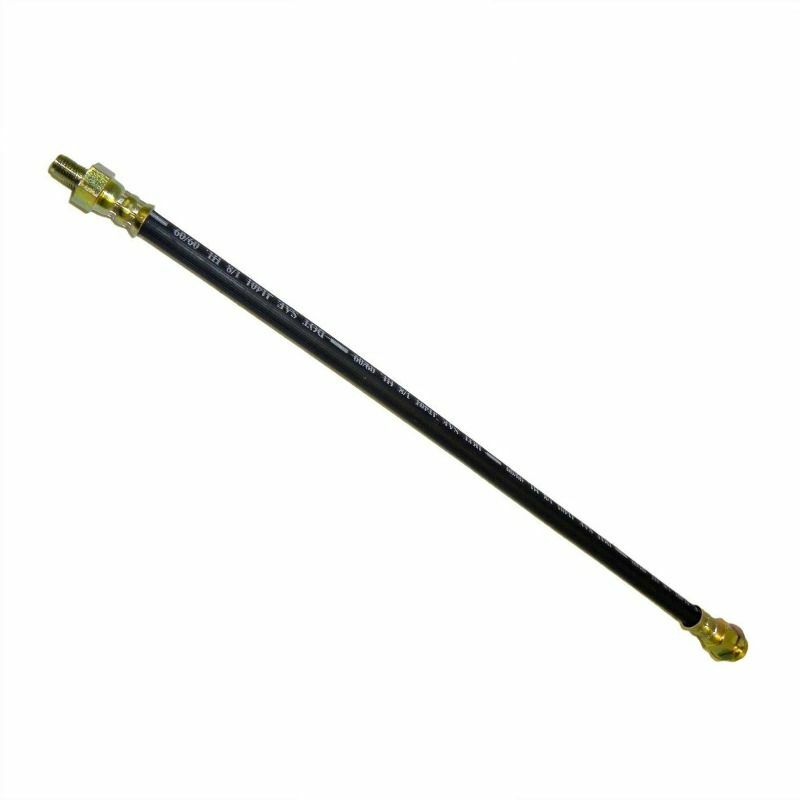 Rear Brake Hose from Frame to Axle; Measures 16″ Long.